This is my second attempt at the weekly photo challenge and this weeks topic is Diversions, distractions and delightful detours. And what’s more delightful than nature. 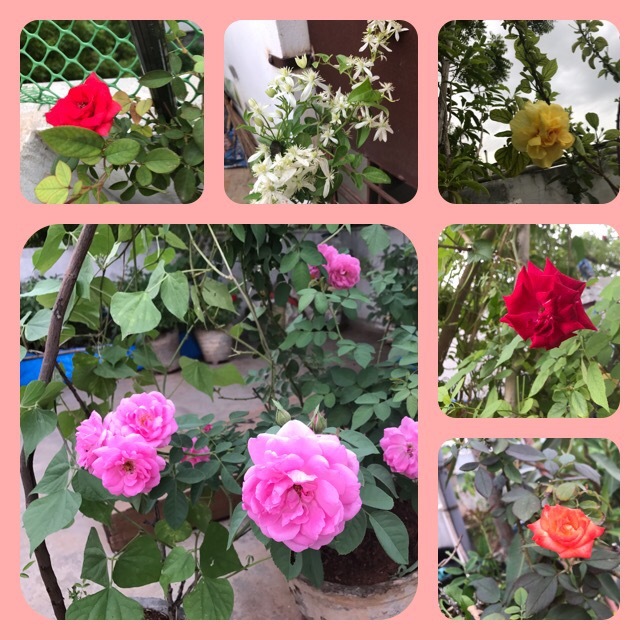 So I decided to post a few pictures of the flowers blooming in my aunts garden. If you are interested in reading more about the garden, you can follow this link to one of my earlier posts. This one comes about at the right time and there are a couple of reasons for that. One, the past week had kept me on my toes as both my kids took turns falling sick. I must thank my parents for being there and dealing with my crazies! Two, as my vacation in India comes to a close, I had to wrap up the last minute wishlist, which mostly includes visiting near and dear ones. Hence, this serves as a delightful detour for my otherwise wonky schedule. Also, this is my first attempt at collaging. Not bad, huh?